10 keen Streaker sailors, 8 visitors and 2 locals, arrived at Tamworth Sailing Club for the first Open Meeting of the year counting for not only the North Sails Northern Paddle & Pinnell & Bax Southern Paddle but also the newly formed Midland Series. As has been the case for the last couple years, uttering Tamworth and open meeting in the same breath resulted in the wind all but disappearing so all were in for a tricky day. 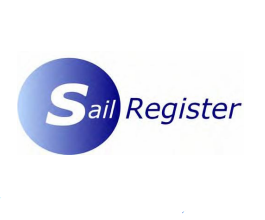 Race one got underway around 11:00 with Nigel Dyer (1822) of Hykeham Sailing club round the first mark in the lead, closely followed by Alan Bennet (1783) of Staunton Harold Sailing club and James Dawes (2112) from Redditch Sailing Club. With Nigel dropping back in the tricky, light conditions a battle for the developed between light weather specialist Debbie Degge (2110), Bartley SC, Dawes and Phil Manning (1995), Delph SC, with the trio coming home in that order. Further down the fleet, Bennett had laid a solid claim to fourth while Veronica Falat (1972), Waveney & Oulton Broad YC took fifth. This left Dyer and Ian Bradley (2121), Ouse Amateur SC, fighting over sixth before Bradley's outhaul snapped taking him out of contention. Mark Langston (1920), Beccles SC, took 7th from struggling local helm Matt Whitfield (1901) on the last beat after a close race long battle. Race two was off soon after lunch in much the same conditions. This time Manning and Dawes made the most of the beat to round the first mark fighting each other for the lead. The rest of the fleet followed closely with local helm James Holdaway (1966) taking advantage of a lift seemingly exclusively ordered for himself to sneak around ahead of Bradley and Whitfield. The next leg split the fleet either side of the island, with the right eventually paying off. Manning slowly dropped back from lead ending the race in seventh, Degge took her second win of the day by a comfortable margin from Dyer and a charging Bradley in third, Falat fourth and Langston in fifth. The final race of the day was only attended by 8 boats, with last placed Holdaway and first placed Degge deciding to sit this one out. Once again Dawes and Manning took the hole shot and were fighting closely for the lead with Falat keeping a watchful eye on them from third. Bradley defending fourth left Langston, Dyer, Bennett and Whitfield fighting over the last four places. Towards the end of the race and seemingly on their way to a one-two finish (order to be determined) Dawes and Manning made the choice to go right of the island and immediately found a hole. Falat spotting this took the route around the left of the island to take the lead and the win with Dawes and Manning coming home second and third. Bradley came home in fourth, Bennett fifth, Langston sixth with Whitfield taking seventh from Dyer on the last beat. Overall Debbie Degge made the most of the conditions to take the top spot. James Dawes came home second with Veronica's win in the final race securing third. Phil Manning took home the Streaker Class Association prize in fourth. Thank you to Tamworth SC volunteers for running the racing in such tricky conditions (again!) and to the galley crew.